Many safety aspects of the highway environment can be managed by fleets and truck drivers. Bad weather can be avoided, tired drivers can take rest breaks and safety technology can be installed on vehicles. But the actions and activities of other drivers are far more difficult to predict. And the increase in legal recreational and medical marijuana is making it more difficult for trucks to find safe passage in the U.S, according to a recent study by the American Transportation Research Institute (ATRI). Adding to the complications of legal pot is the inability of science to accurately determine if a driver is currently under the influence with the same accuracy as alcohol detection. As more states legalize both recreational and medical marijuana, professional truck drivers are more likely to be sharing the roadway with car drivers operating under the influence of marijuana. Without an accurate way to test for pot-impairment, ATRI has been studying ways to deter these drivers from getting on the roads. With more drug tests are coming back positive for cannabis each year, marijuana-impaired driving is a top safety research priority identified by ATRI’s Research Advisory Committee (RAC) last year. The group sought to document the most promising methods to identify and deter marijuana-impaired driving. In 2017, 2.6% of drug tests were marijuana-positive – a 4% year-over-year increase from 2016, according to ATRI. Pot also came up more in drug tests of federally-mandated, safety-sensitive occupations in 2017 compared to 2016: from 0.78% to 0.84%. ATRI found that states that legalized recreational weed had the largest increase in positive tests. The study recommends increased data collection on the frequency and impacts of marijuana-impaired driving; public education and information on the risks of impaired driving; better-equipping law enforcement and the court system to intercept and ultimately prosecute impaired drivers; and targeting tax revenue generated from marijuana sales to fund these activities. While there are accurate tools to test for and prosecute drunk driving, the study notes, there are not accepted tools and methods to test for marijuana impairment. As a result, truck drivers in many states now face the significant risk of having legal marijuana users drive impaired (and illegally) alongside their trucks, the study finds. In 2016, more than 28% of all traffic fatality incidents included at least one driver who was operating a vehicle under the influence of alcohol. And while ATRI contends that marijuana has played a role in vehicle crashes, the data is not collected at the same rate and level of confidence as alcohol-related crashes. The report highlights the importance of training law enforcement to identify and collect evidence of marijuana-impaired driving, particularly through the development of more drug recognition experts (DREs). The hard science of testing a driver’s alcohol consumption in the form of breath and blood tests do not compare to the testing for active THC. And strict DUI laws over alcohol have led to a 50% decrease in annual alcohol-related traffic deaths since the 1980s, according to the National Institute of Health. Marijuana was an illegal substance across the U.S. for decades. But now 33 states have legalized medical marijuana and 10 states have legalized recreational pot. 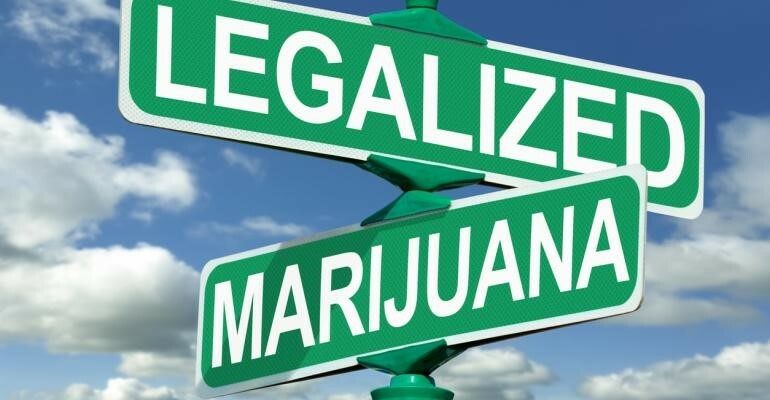 While the states have made these changes, the U.S. federal government still considers the production, sale, possession and use of marijuana to be a criminal activity. While it may be legal to consume marijuana in various settings and scenarios, operating a vehicle on public roads while impaired is still a criminal offense. Issues associated with marijuana impairment, according to the ATRI study, are poor judgment, decreased motor coordination and decreased reaction time.